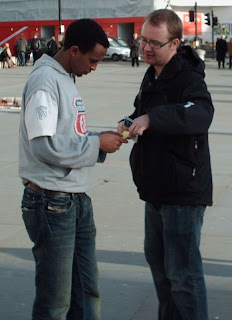 Recently Operation 513 came to London and conducted open-air evangelism. Our church was honoured to assist them. One of the particpants, Kevin Williams provides on his blog an excellent review, with several pictures too.